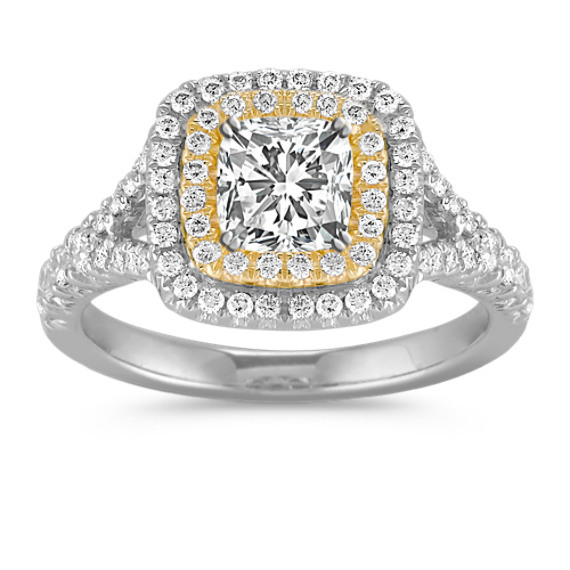 This magnificent two-tone halo engagement ring is comprised of ninety round pavé set diamonds, at approximately .68 carat total weight, set in a quality 14 karat white and yellow gold split shank setting. The center diamond of your choice at approximately 1.00 carat will look stunning in the yellow gold head. This ring is part of our exclusive Couture by Shane Co. collection.